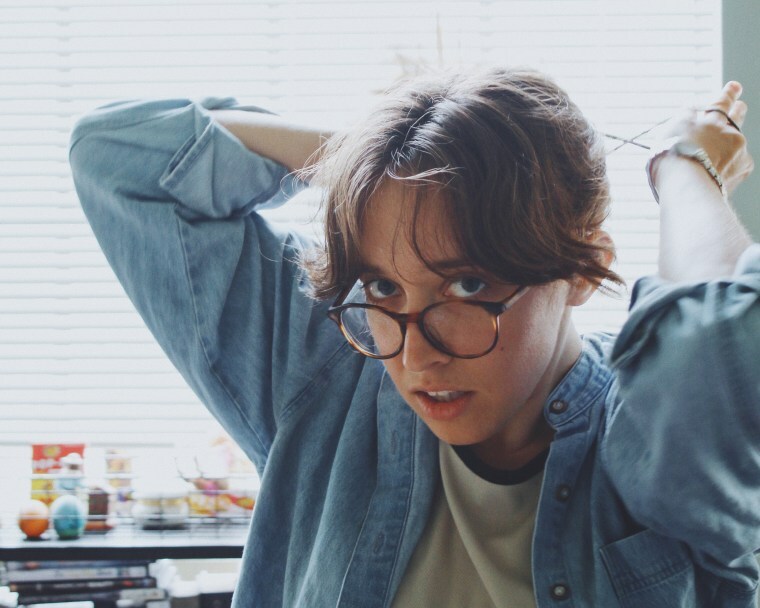 Plus, project mastermind Hannah Read talks making music in her tiny Texas town. Hannah Read grew up in a small town in Texas, played in bands with her older brother and her high school friends, and ultimately recorded tons of her own songs on her laptop. The first handful of those songs became Forever, an 11-track album she released in 2015 as Lomelda. Her next release will be Thx, out September 8 on Double Double Whammy. Premiering today on The FADER is "From Here," a warm, vocal-centric track about distance and driving, about wanting to be found and seen. "I’m calling you from Brooklyn," Read sings delicately over mellowed-out guitar and drums. "Can you find me? I’m on Bedford/ I drove over the East River/ What am I doing here?" "'From Here' is about the distance between you and me," Read wrote in an email to The FADER. "It’s about desperately spitting sentences into an iPhone to destroy that distance. And it’s about the strange calm that comes when you are able to say, I am just a 'me' over here, and slump on across the crosswalk. "Listen below, and read a chat with Read about how she became a musician, and what it's like living in Texas with limited internet access. I got a lil’ guitar when I was 10 or so. Wrote a song on it with the help of my dad — something about death and Jesus. But I didn’t do much else with that guitar. I took piano lessons as a kid. Then I was in middle school band and one year of marching band in high school, which I quit to take art classes and to play in my older brother’s band whenever we had the chance to get together. I also forced my best friends to learn instruments to play in a band with me. We had painstaking one-on-one practices. I recorded loads and loads of songs in GarageBand. But through all this I never really thought much about the fact that I was a musician. It felt more like the start [of my music career] when I started playing with Zach Daniel (drummer on Forever and Thx) and Andrew Hulett (guitar on Forever) in 2012. We all recorded an album together, and it felt like the end. And it was. Then I wrote Thx, and it was another start. I had to learn a lot, like how the heck to play guitar. I’m learning so much still. It feels like I’m just starting out, even though that’s not really true at all. My number one musical influence without a doubt is my older brother. I play the way I do because of him, and the music he showed me — Richie Havens, Low, Elliott Smith, Nina Nastasia, Silvia Perez Cruz. And now we make records together. But also, the music that is most influential for me and everyone making music today is coming from Frank Ocean. All my love, all my wonder. I hear you don't have internet — how do you know what happens in the world?! I sorta have it! It’s just slow, and doesn’t really work at night, or during storms (which happen on most summer days — land of scattered thunderstorms). I can’t watch Netflix, but I can keep up [with current events] at a certain pace. I think it’s my responsibility to pay attention, to listen, to bring the news from out there into my world. Because honestly, the big evils on display right now — the civil rights struggles for people of color and queer people that are making headlines and busting Twitter — have been on display in my world my whole life. I recognize the bigotry. It’s from my world — a small rural Texas town of conservative Evangelical white people. So yes, I have to keep up. I have to say: I have no sympathy for racism, that there is no small racism, that you are absolutely wrong, that your confederate flag is evil, that your “blue lives matter” flag is evil, that I’m not with you, that I hate you. You're from a small town in Texas, and you sing a lot about driving. Does location affect the writing of your music? You’re right. I write about driving a lot. And new settings. Maybe it’s because I still haven’t been to a ton of places. Or that the first several times I found myself in a “big city” it made me feel physically ill. It surprises me every time that every place I go reminds me of some other place. And that some places hold a feeling unlike any other, without much reason for it. And that I can drive to N.Y.C. from Texas and go through the tunnel and be spit out in Chinatown and it’s not a big deal at all, even though I’m gawking, wondering how in the world this place came to be, how did I get here. Oh, yeah, I just drove and listened to Google Maps. Thx is out September 8 on Double Double Whammy. Preorder it here.